Watch the new battle trailer. Valkyria Chronicles Remastered will launch for PlayStation 4 in the Americas and Europe on May 17, Sega announced. In the Americas, pre-orders and limited launch copies will come with a collectible metal Squad 7 Armored Case. 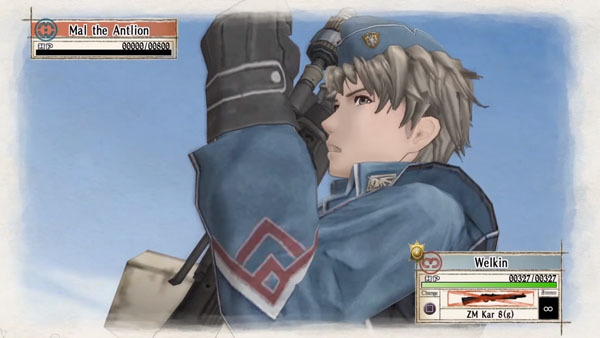 In Europe, the game will be available in a “Europa Edition” which includes a 32-page art book called The Art of Valkyria Chronicles Remastered, featuring character and environment art, as well as a double-sided A3 posted depicting Squad 7 on one side and Selvaria Bles on the other. The PlayStation 4 update offers remastered, 1080p visuals running in 60 frames per second, PlayStation Network trophies, and all the previously released downloadable content pre-loaded on the disc. Read more here. Watch a new trailer introducing the battle system below.